My old go-to beauty bag for travel just pooped out on me about two trips ago. I’m so picky with how I choose to pack beauty products for travel, I even tried bringing the broken bag with me traveling until a zipper mishap almost caused a makeup disaster. It was time to find my new favorite, and maybe I could find something even better if I looked hard enough. 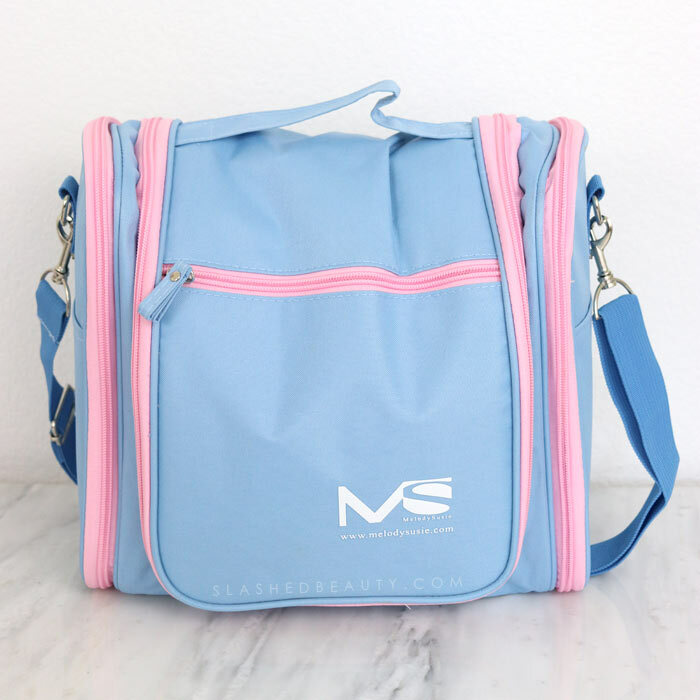 After literal hours of searching, I came across the MelodySusie Toiletry Bag. What first caught my eye was the fact that it was a hanging bag, like my last one. Hanging bags are the most convenient for travel in my opinion, because you never know what your counter space is going to look like in different hotels. Being able to hang your bag from a robe hook or towel rail keeps your products out of the way but also displays them so you can find what you need easily. The second thing that caught my eye was that this was one of the few hanging bags that kept makeup brushes in mind in its design. 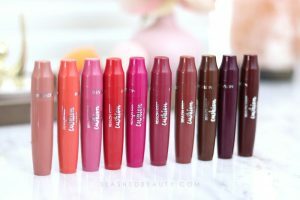 Why is it so hard to find built-in brush holders?! 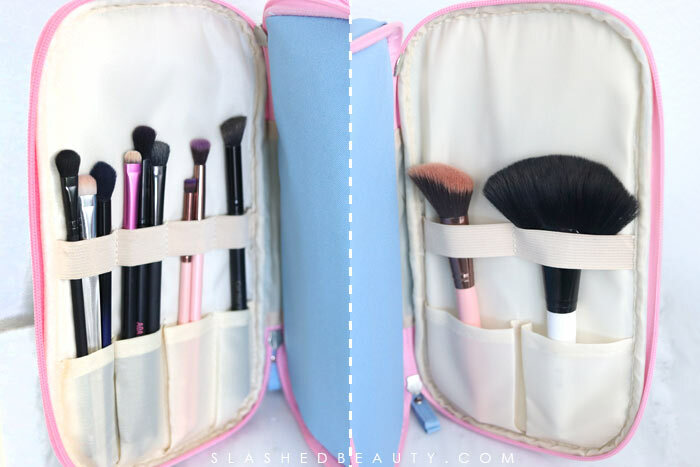 With the MelodySusie bag, the brush holders are on either side and fold out like wings. The left side has smaller pouches and elastics to hold the brushes up, and the right side gives you a little more width for thicker brush handles. I’m someone who really likes pockets. I don’t like throwing all my stuff in one compartment and calling it a day— that sounds like a great way to waste time searching for the product you need. 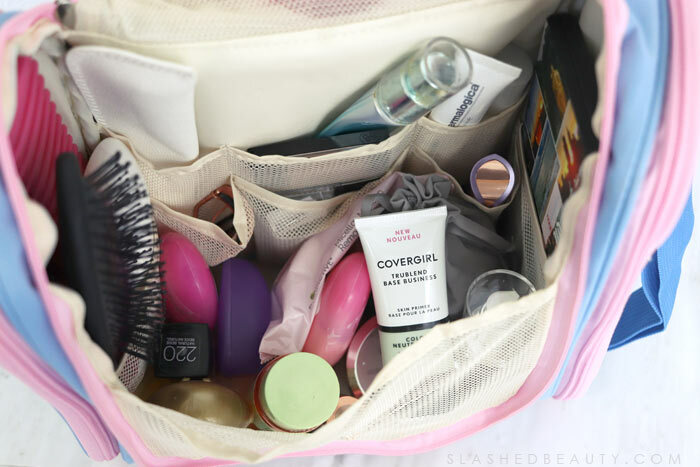 This travel beauty bag has you covered when it comes to organization. One zipper pouch with three open pockets on the outside, two zipper compartments and eight mesh pouches on the inside give you a space for everything. 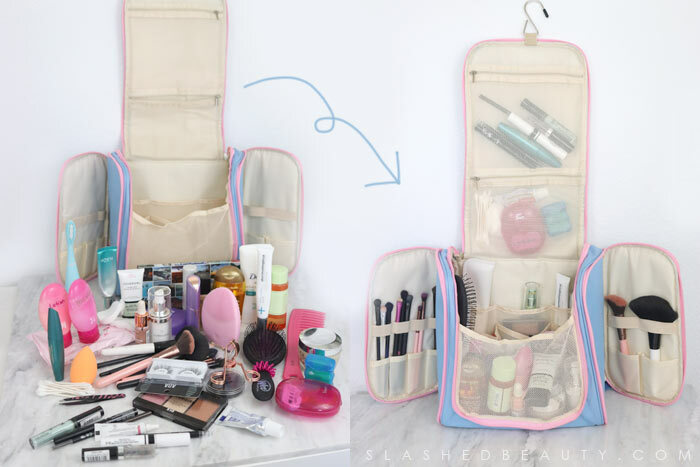 When all the pouches are filled, you’re still left with a large main compartment to store bottles, tools, and other travel beauty essentials. Watch the video above to take a closer look at everything I put inside. I will admit, when I first held the MelodySusie Toiletry Bag in my hands, it seemed rather bulky. However, this is actually consolidating several different bags that I used to pack while traveling. I used to have a dedicated makeup bag, skin care case and a ziplock with all my other random needs like lotion, toothpaste, and hair oil. I can now fit everything inside one case and take up less room. Plus, the lining is waterproof and easily wipes clean in the event of any spills, which I can’t say of the canvas bags I used to use for my toiletries. 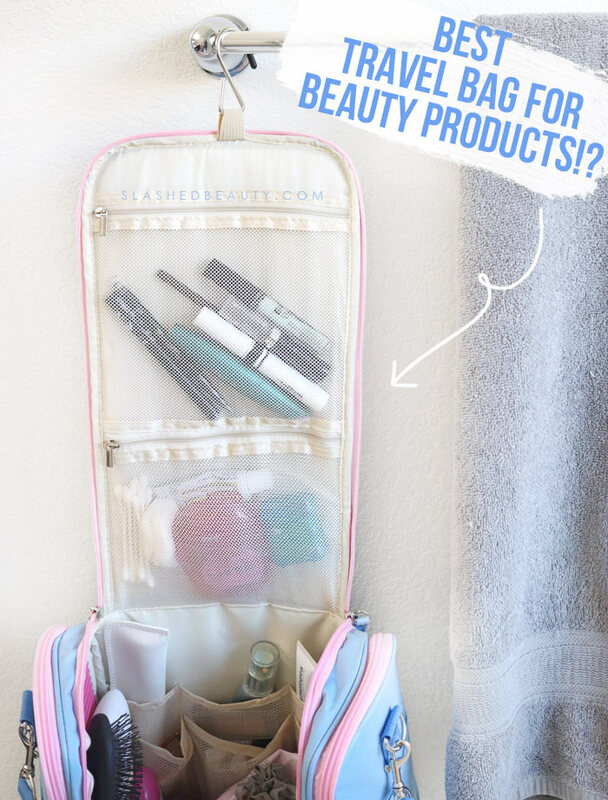 Overall, the MelodySusie Toiletry Bag might just be the best travel bag for beauty products. It helps me stay organized while traveling better than ever before with everything in its own spot. I typically carry it on with me inside my roller luggage, but it does come with a shoulder strap if you’d like to carry it on its own! The best part? It’s only $20 on Amazon. Not quite what you’re looking for? Check out these 10 other beauty bags for travel from Amazon. 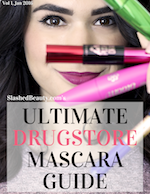 How do you pack your beauty products for travel? I love that when it’s all closed up it has a long strap. Very easy to travel with if you can’t get it in your bag!